This 1/12 scale one-of-a-kind doll house started as a small bookcase to which I added a third floor and styled it as an Early American Saltbox. 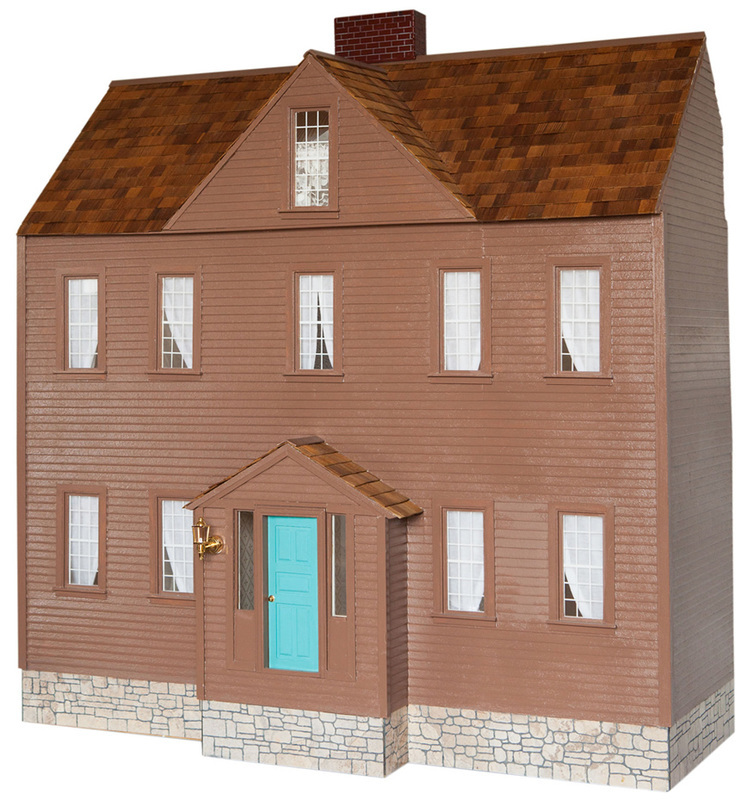 This doll house is inspired by the family home of Louisa May Alcott, the author of 'Little Women', one of my favorite stories. This doll house is one room deep, open at the back and features the bedrooms of the four March sisters, Jo, Meg, Amy and Beth. It also has a kitchen, living room and 3 rooms in the attic where the March girls can dress up, put on their plays and store all their memories in big wooden chests. I use battery operated lights in my dollhouses, and the new home owner can add as many additional lights as they need. 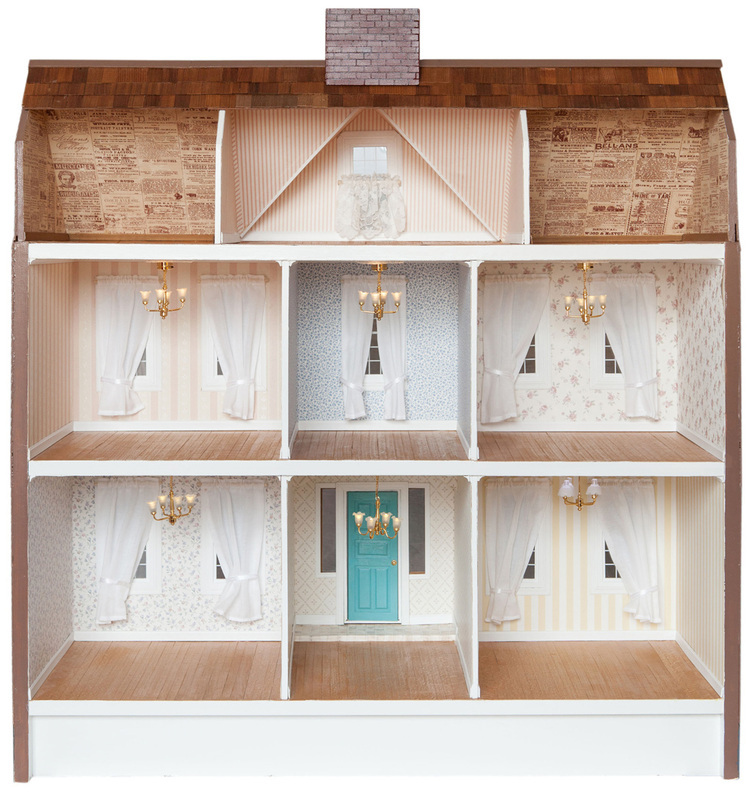 As an additional gift, this dollhouse comes with a beautiful edition of the book 'Little Women'! 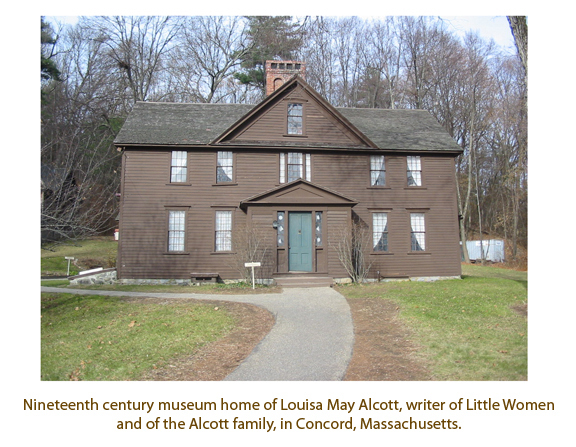 To learn more about Louisa May Alcott's family home in Concord, Massachusetts click here to visit their website. This picture of the Alcott family home is from their site.